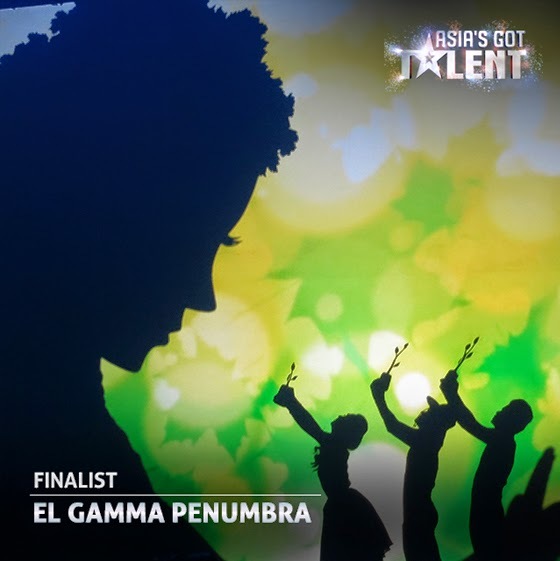 VIDEO: El Gamma Penumbra's tribute to Mother Nature performance in finals of Asia's Got Talent - Balita Boss! El Gamma Penumbra has performed their final act, a shadow dancing tribute to Mother Nature to the tune of Disney song “Colors of the Wind” popularized by Vanessa Williams. The group got standing ovation from the judges on Asia's Got Talent grand finals performance night on Thursday, May 7 at the Marina Bay Sands in Singapore. Aside from El Gamma Penumbra, there are eight other acts performed in the grand finals of “Asia’s Got Talent,” including fellow Filipinos Gerphil Flores - classical singer, Gwyneth Dorado - ten-year old singer, and Junior New System - dance group.